In early 2016, I was listening to a podcast with Seth Godin as a guest, and one of the things he spoke about was forcing yourself to blog everyday. I am a regular reader of Seth’s blog, it has been extremely helpful in my years of running my own business. 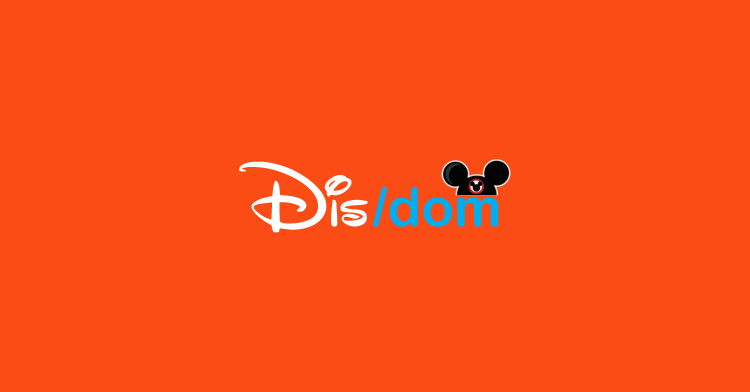 So, Dis/dom was born as a way for me to blog every single day (well, every weekday) and put my Disney Wisdom down on paper for the world to see. My name is Keith Anderson, I am the owner of Mouseketrips, one of the largest Disney travel agencies out there, plus a bunch of other Disney sites you may or may not have heard of. We have been in business since 2002, and now send a couple of thousand families on Disney vacations each year. I have planned just about any type of Disney vacation you can imagine for clients that live all over the world. I personally have stayed in every US Disney hotel (from Aulani to Vero Beach and everything in between), I have been on every Disney Cruise ship, dined in every Disney restaurant at both Walt Disney World and Disneyland, been on a Adventure to Disney (Ireland, it was incredible) and continue to plan Disney vacation after Disney vacation for my family (we are headed to Disneyland next week, hurrah!). I hope to share with you some Disney insight that may help you with your upcoming Disney vacation, or possibly just entertain you or teach you some interesting Disney history. I guess we will see. The next time you are planning a Disney vacation, consider contacting us at Mouseketrips. We never charge a fee for our services, so you will get an agent on your side that knows what they are doing from start to finish, and it won’t cost you a penny. In fact, we typically save our clients quite a bit of money, we are tricky like that.